A and R Hoods has more than 25 years experience in the kitchen equipment cleaning industry. We provide industrial kitchen equipment cleaning and restaurant equipment cleaning services. Our expertise services customers all over Washington State from Puyallup to Spokane. Good service is measured by more than just how the food tastes or is served. As chefs prepare a variety of food, it is vital to have clean kitchen equipment to use. It is said that flavors blends with the air; and food that smells great, creates an immense appetite. Continuous use of ovens, fryers and stoves build grease or grime that will spoil the taste of a meal that is being prepared in your Puyallup kitchen if not properly cleaned. 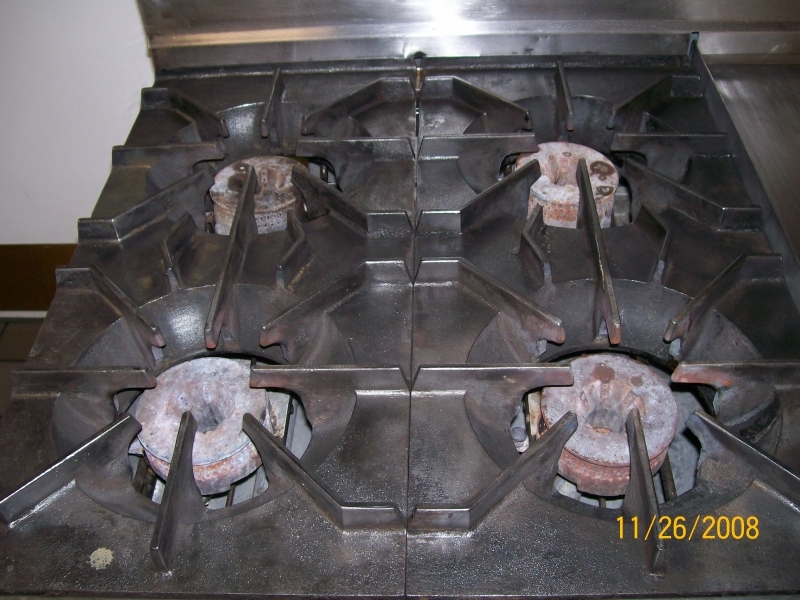 A and R Hoods provides expert kitchen equipment cleaning services for Puyallup commercial and industrial kitchens. We provide complete restaurant equipment cleaning from inside and out, ensuring you that your stoves and ovens are ready to cook more delicious meals that your Puyallup customers will surely love. As your Spokane restaurant prospers, it is important to maintain the life of your kitchen equipments as well. Food preparation will in time create a buildup that will compromise the taste of the gourmet food your chef is preparing. A and R Hoods provides restaurant equipment cleaning services that will exceed your expectation. Routine kitchen equipment cleaning will make your Spokane restaurant sparkle while creating a great ambience. We offer complete detailing and restaurant equipment cleaning to make your Spokane kitchen equipment look like new! More customers equate more cooking. In any restaurant or commercial kitchen, it is vital to keep an outstanding reputation to attract more customers. Over use of ovens, fryers and stoves or any other kitchen equipment that is used in food preparation can cause uneven taste in the food that is being cooked. It is therefore highly important to keep your Puyallup or Spokane restaurant equipment clean at all times. A and R Hoods has a great team of skilled workers that can take care of all your restaurant equipment cleaning needs. We have the tools and more than 25 years of experience in the restaurant equipment cleaning industry. From Puyallup to Spokane and every community in the Washington State area, you can count on us for expert kitchen equipment cleaning services!